‘All anybody needs to know about prizes is that Mozart never won one’. Henry Mitchell. Right now the Green and White prize seems to be moving towards the Whites as they won Bari’s Biffs this morning. This game was delayed from yesterday, and I’m glad we waited until today to play as the weather was sooo much better. And all you need are some socks full of flour and some medics, and you’ve got Bari’s Biffs. It also helps to be able to run quite fast and to think on your feet. Evidently the Whites did this better than the Greens, which now puts them in a strong position in the overall competition. They lead by around 100 points, although as I write this the Hatchet Hunt is underway, so this could narrow the gap somewhat going into Lazy Day Sunday, and no Green and White action. The Hatchet Hunt is played only by the Senior age group, and it involves solving clues as to the whereabouts of the hatchet (a small wooden replica, now that you ask). The clues are taxing and testing, so the hatchet is rarely found until the ninth or tenth clue is revealed. At that point it is the fastest runner that will probably decide the winner, as it is he who will get to the hatchet first and bring it back to the mess hall. There is an air of secrecy and mystery that surrounds this game, and it is this – I think – that makes it so appealing to the Senior age group. I know that the boys in the lower age groups long for the day that they can play and ‘hunt the hatchet’. This evening we entertained the ladies from Chippewa Ranch Camp. We were meant to do a colour run (throwing coloured powder everywhere), but the rain put paid to that. So we transformed the mess hall and Wasserman Hall into two dance clubs and did our best. It’s never easy when the rain comes, but we always have a plan-B, and it always seems to work. The MCAA is now over. The last two leagues were completed this afternoon, so that is it for the organised sports this summer. There is still Twilight League to go, of course, but we’ll get back to that, probably on Monday. 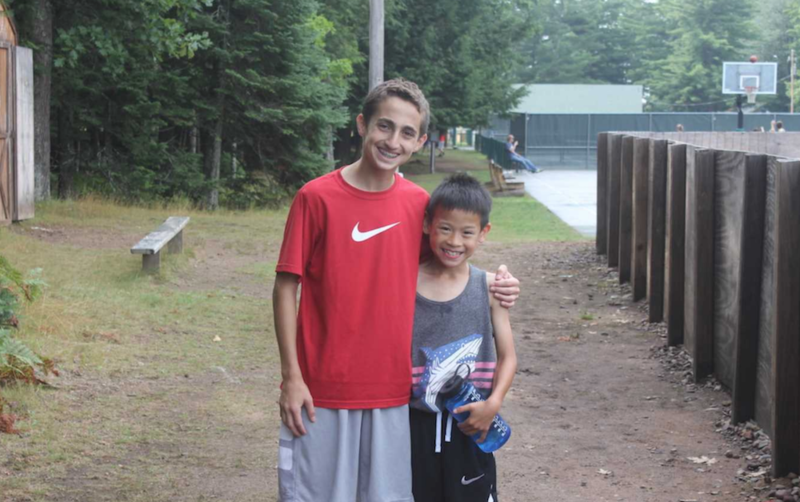 Tomorrow is another packed day, not least because we plan to take the boys to town, and run Doc’s Run at 7am, and complete the Menominee Masters golf! Phew! I can barely catch a breath with all this stuff going on. But I am still breathing, so I can safely rest, as all is well.